After spending an episode becoming more relatable, Miss Piggy returns to having a feud with a celebrity, though the twist this time is Reese Witherspoon ends up looking just as bad as Miss Piggy as they argue on a charity construction site, which is damaged as they get into a physical altercation. The story is Piggy is upset with Reese as Witherspoon beat her out for a part in Walk the Line, for which Reese won an Oscar. 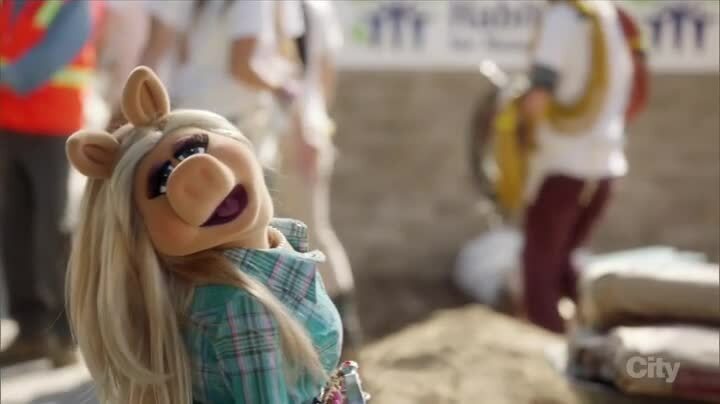 Piggy brings it up on the show, blames Reese for bringing it up, and then continues to be competitive by claiming that she also does work for Habitat for Humanity like Reese, and will also be at a construction site that weekend just like Reese. Piggy dresses up super cute for the construction job: a pink helmet, pink bedazzled hammer, and stiletto work boots. She’s surprised there are no paparazzi (after mistaking the surveyor as one) and calls them in, and then picks a fight with Reese about who is the harder worker. Piggy reveals she was raised on a farm, and to her credit she does end up working harder and faster than Reese (aided by karate chopping 2x4s!) Reese and her continue to bicker, which turns physical and ends up knocking down the entire side of a the house frame, all caught on camera by the paparazzi that Piggy called in. 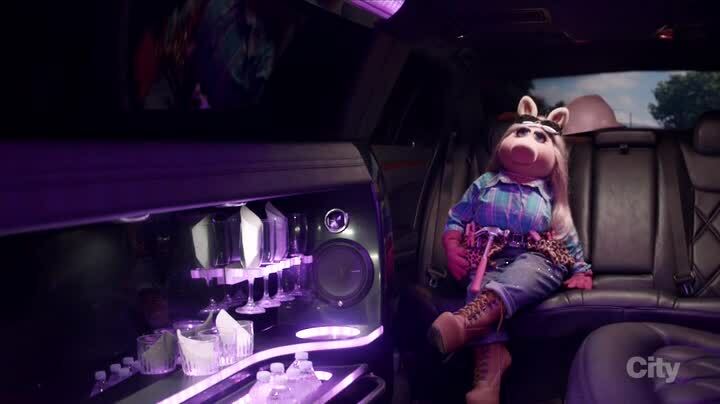 This becomes a PR disaster, and Miss Piggy actually cries in her dressing room over this. 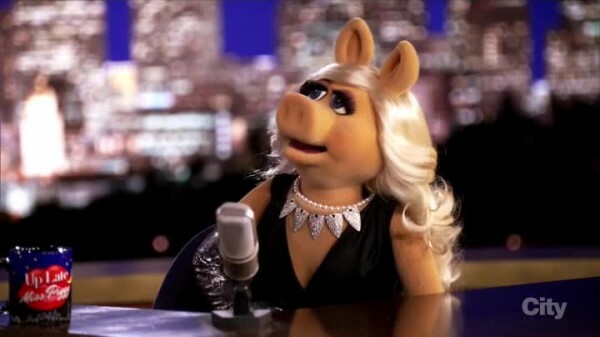 More humanization of Miss Piggy is a good thing! 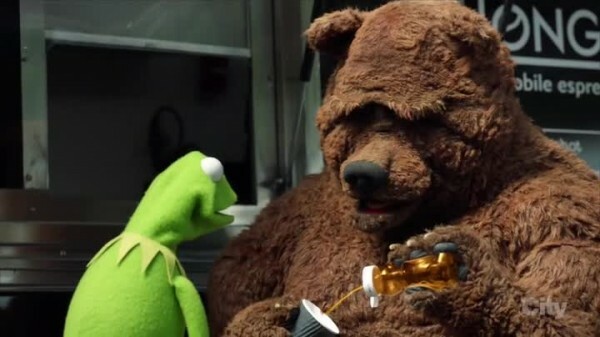 She and Kermit decide the best way to fix things is to get Reese back on the show and apologize. So they do, and Reese apologized to Piggy, after which Piggy apologizes. With an elaborate music and dance number where she apologizes by song and by rapping, ending with an awesome dropping of the mike as she proves she is the best at apologizing. 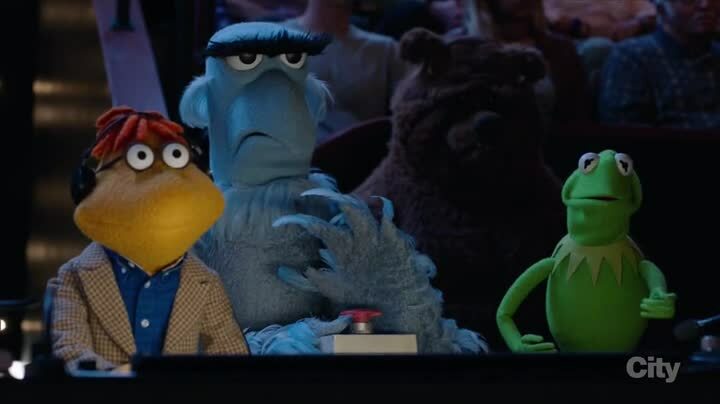 The b-story is Fozzie telling jokes at the club and bombing (as usual), until he starts making jokes about Becky, which gets lots of laughs….except from Becky, who isn’t that happy that she is now joke fodder. 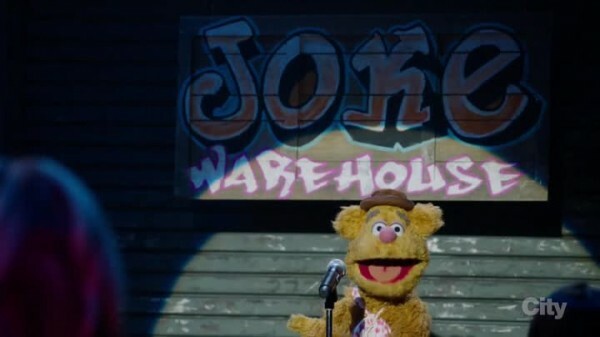 Becky retaliates by telling jokes about Fozzie at the office as revenge, including how Fozzie tears up every time he hears “True Colors” – which becomes a running gag. Fozzie switches back to his old stuff at the club, and is once again bombing, proving he cares about his girlfriend. 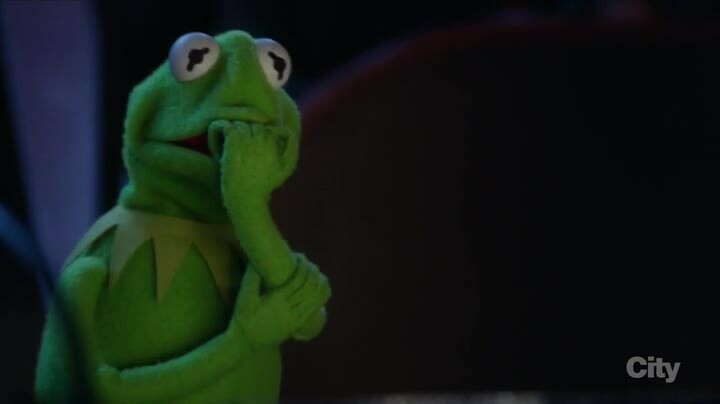 So Becky asks him to talk about his girlfriend and it is back to the laughs. A side plot has Rizzo hitting Scooter’s car, and then giving Scooter a parade of business cards of relatives who are supposed to help him fix the car, but just ends up costing him more money. It goes about how you think it would. The centerpiece of the episode the feud that acts more like an actual feud than the Christina Applegate one, with both parties taking it too far, and the elaborate way Miss Piggy comes out on top. The apology just gets more and more crazy and is the funniest thing they’ve done yet, I loved it!